Illustration of the Hywind Tampen project. Dimensions and distances are not realistic. The Oil and Gas Authority (OGA) today revealed it has begun research into powering North Sea oil and gas assets with renewable energy sources. The study, aimed at maximising economic growth in the North Sea, is examining how operators can lower emissions and narrow the gap between the Scottish oil and gas and renewables sectors. The OGA will publish a policy position on its role in the energy transition in the spring, and an Enhanced Oil Recovery (EOR) strategy, which will cover carbon dioxide EOR, in the autumn. The research is assessing oil platform electrification, gas-to-wire technology, carbon capture and storage (CCS), hydrogen power and the potential for North Sea power hubs. The OGA confirmed it is currently looking at a number of renewable sources, such as solar and floating wind power. It added that the research will also be heavily focused on the potential for offshore wind given that the technology is “already well-established in the UK”. Andy Samuel, chief executive of the OGA, said: “This is a really exciting opportunity to advance the energy transition agenda, looking at practical steps that can be taken and how we as regulators can support that. The OGA said it will hold a “broad consultation” with Scottish renewable energy firms and connected organisations. It is currently working alongside the Department for Business, Energy and Industrial Strategy (BEIS), The Crown Estate and Ofgem. Will Apps, head of energy development at The Crown Estate, said his organisation was glad to be working with the OGA to “support the UK’s ongoing transition to a low carbon energy mix”. 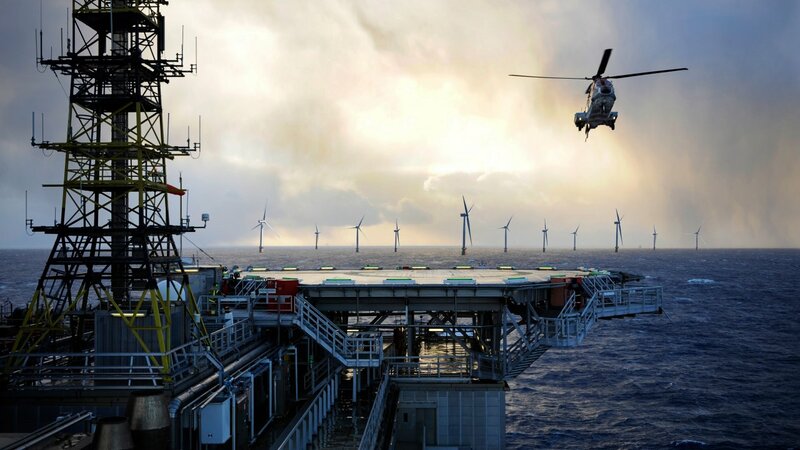 Last month, Norwegian energy giant Equinor announced it was constructing the Hywind Tampen project, which will produce enough electricity to power several North Sea oil and gas platforms. The eleven floating wind turbines will be constructed at Gulen Industrial Harbour in Sogn og Fjordane. Reduction of CO2 emissions from five oil and gas platforms at the Snorre and Gullfaks fields is estimated at more than 200,000 tonnes per year.